Rob grew up in South Florida, fishing all over the Keys and Everglades. 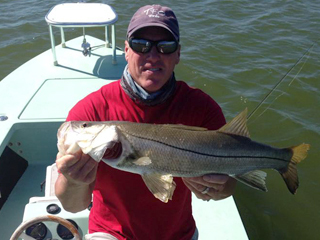 He currently guides anglers inshore and offshore, from bass to swordfish and everything in between. While still in high school, he won the MET (Miami Metropolitan Fishing Tournament) Master Angler award, without using a guide and was the youngest person in history to ever do so. He guides an average of 300 days per year in a normal season and currently stars in “Silver Kings”, a TV series on Discovery Channel’s Destination America that chronicles the lives of captains Bou Bosso and Rob Fordyce during the tarpon season in Islamorada. “Silver Kings” currently airs on Discovery's Destination America Channel on Saturday mornings. Widely regarded as one of the best fly tarpon guides in the Florida Keys, Rob has won or placed among the top three finishers in more than 100 tournaments, including, the prestigious Gold Cup Tarpon Tournament, Outback Golden Fly, Don Hawley Invitational Tarpon Release Tournament, and the Women’s World Tarpon Fly Championship. He is the only guide to have won all four major Fly Tarpon Tournaments in their 50 year history. He is a consultant for Maverick Boat Company, Yeti Coolers, Smith Optics, Seadek, Raymarine, Fuji, Temple Fork Outfitters, Patagonia, Sea-Vee, Fuji, and Cortland Line Company.